It’s a cold November morning and Todd Workman is giving the grand tour of Franklin’s main drag. With the zeal of a kid who’s just built their first city out of LEGOs, Workman weaves in and out of partially vacant old brick buildings. He shows off restored tin ceilings, art deco architectural details. And there’s a salvaged bar for what he hopes will soon be a restaurant. He gestures to the window in the corner. Workman has a lot of big ideas for this little city. And he’s poured more than $1,000,000 into buying real estate for redevelopment projects. Since 2015, Workman, through his non-profit PermaCity Life, has brought new investment from local banks. He helped coordinate the redevelopment of the Franklin Light and Power Company building into 45 low-income units. Workman, who grew up a town over in Gilford, says he wants to see the once industrial City of Franklin have a new life. One that’s centered around the river. “You know, the mills were act one. What’s act two?” Workman says. For Workman, a major part of act two for Franklin will be staged on the Winnipesaukee River. 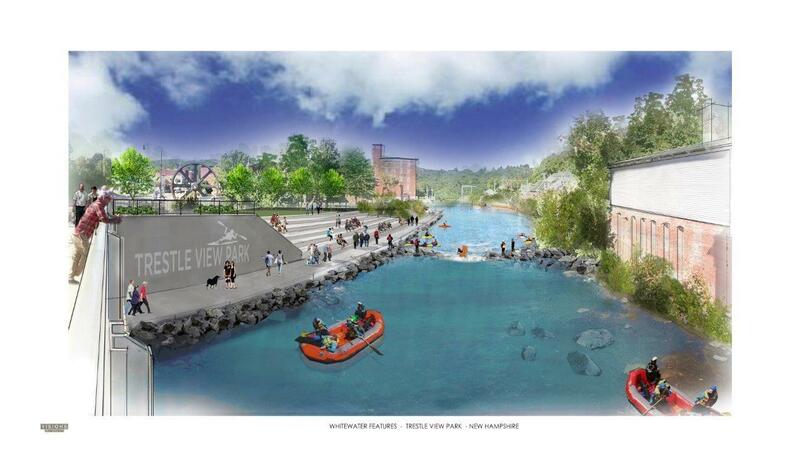 Workman and others envision what’s called a whitewater park, a recreational water feature for kayakers that takes advantage of Franklin’s location at the convergence of three rivers. Just up the street at a small diner, owner Cathy Hubble, mid-way through a busy breakfast rush, says there might be a better way to go about rethinking the city. She welcomes the redevelopment, but she’s not sure it's the best first step. Hubble and others I spoke with would like to see Franklin focus on the problems it already has before moving to notions of new restaurants and whitewater parks. 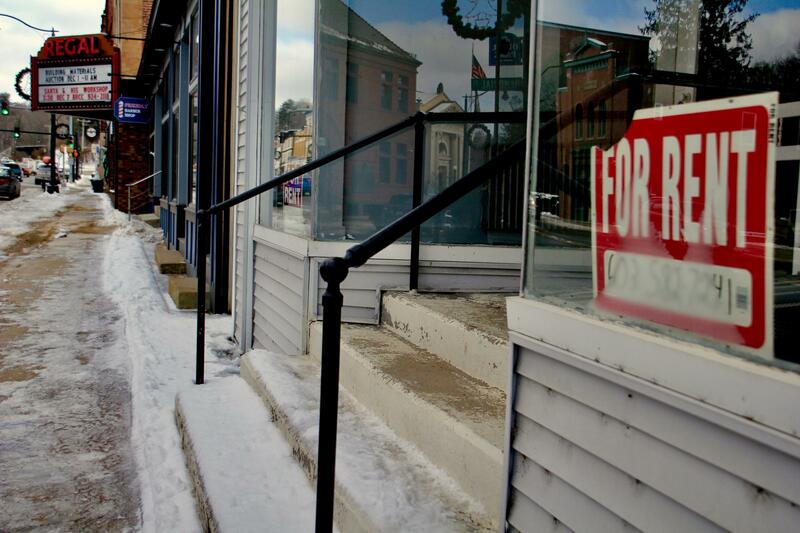 Franklin has a stagnating population of around 8,500 people with close to 20 percent living below the poverty line. Last year Franklin also struggled with a school funding crisis. And Hubble points out what she sees as another issue facing the city. 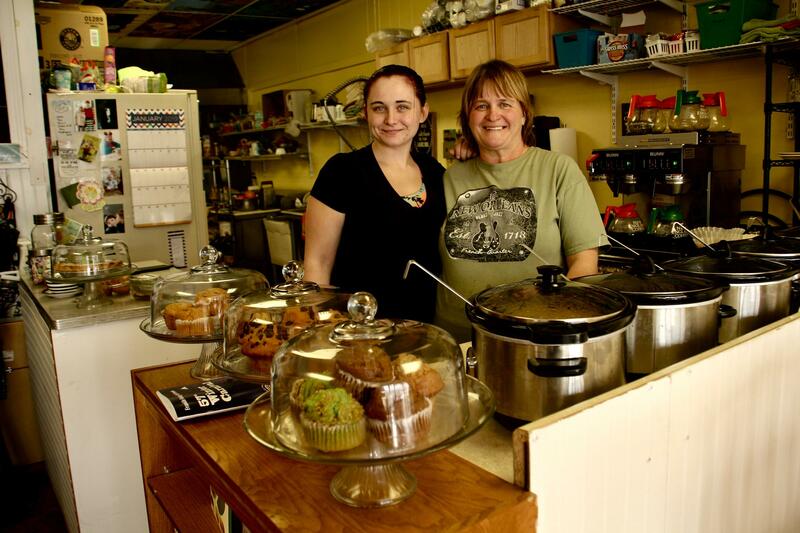 Cathy Hubble (R) and daughter in their Franklin, N.H. restaurant. Hubble says she has compassion for homeless people in the area. At one time she was without a place to live and knows how it feels. But she encounters many people struggling with addiction who she says have stolen from her, or disturb customers in her restaurant. She’s even cut back the hours she’s open because she says she doesn’t feel safe at times. If things keep on the way they are, will she be in Franklin in a year? “No. I’ll leave,” Hubble says. Just a few doors over, Desiree Dominguez McLaughlin runs the laundromat in town. The place has become more of a community center though, with a play area for children and a small library. She says she’s seen a lot of change in the 13 years she’s worked here. “Since we opened we noticed a spike in homelessness when the opioid crisis really first began,” McLaughlin says. McLaughlin along with about 20 other residents and local police visited the encampment to check on people. She also reached out to local churches and charities to see what could be done to help. McLaughlin says she likes that Todd Workman and others are trying to bring new life to Franklin, but it’s not something everyone can take part in right now. McLaughlin sees the working class reality in Franklin on a daily basis. And she’s also well aware of how the forces of gentrification can leave them out. Back at Workman’s non-profit headquarters, he says he believes his approach will work for the city: That a more prosperous Franklin can bring relief by way of increased tax revenue and more funding for schools. Meanwhile, other investors are willing to make a bet that the state’s smallest city can attract new residents who are willing to pay market-rate rents. In December 2017, Chinburg Properties, a developer which owns several properties throughout the state, closed on downtown Franklin’s largest piece of real estate. The 186,000-square-foot JP Stevens Mill is set to be converted into 125 loft style units, right on the river. Workman says this project is key to Franklin’s success. Workman believes things will get better for Franklin and he says he’s not alone in his efforts, with other nonprofits, officials and business owners working to re-envision the place. Until then, the hope is that people will pay attention to the undercurrent of prosperity in the Three Rivers City. Representatives from several federal agencies converged in New Hampshire Tuesday to provide information on how municipalities can make use of government resources. The U.S. Department of Housing and Urban Development, the Environmental Protection Agency and other organizations filled Franklin's City Hall for the event, organized in part by HUD Regional Administrator David Tille.